Hello and welcome to Fraser’s Fun House where the fun never ends! Having blogged for a few months over on The Socialite UK I have really regained my passion and mojo for writing – previously with a very active toddler the thought of writing couldn’t have been further from my mind!- I have therefore decided to go it alone and share the madness that is Fraser’s Fun House! The name is inspired by the retro game show ‘Fun House’ from our youth as it has always been an ongoing joke that our house is just as crazy – and of course I am Melanie like one of the twins! We also have a crazy dream of winning the lotto (even though we don’t play!) and creating our very own play area ‘Fraser’s Fun House’- for kids in the daytime hours before becoming an adults dream in the evening – lets admit it us parents do secretly love a bit of soft play don’t we? As a family we love going on day’s out and trying out new places to visit and eat and we are going to share some of those with you here by giving our own honest reviews – with our own Fraser’s Fun House rating! I personally have a massive passion for Christmas, reading and finding a bargain so there will be plenty of posts about those too plus anything else that I hope will hold your interest. 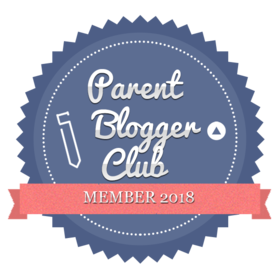 This won’t be your average parenting blog by a long way and I hope you will enjoy reading about the Fraser’s! Next Post Our favourite time of the week – Music Makers class!